Chicago Child Custody Lawyer | Johnson & Johnson, Ltd. Experienced Chicago child custody lawyer. 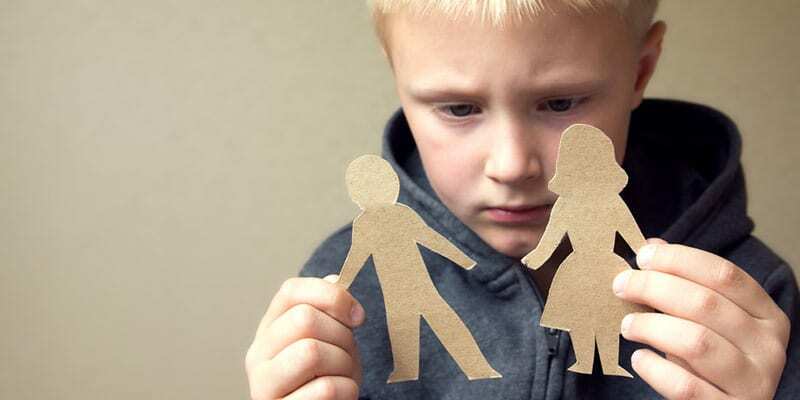 Divorce brings many challenges and concerns that must be handled with the assistance from a Chicago child custody lawyer. Among the most important are the decisions that must be made concerning the children. In Illinois, the courts always provide for what is in the best interest of the children in a divorce proceeding or paternity matter. Parents need to work together as much as possible to make the important decisions concerning child custody. The term “custody” is no longer used in legal documents concerning family law. Courts no longer award custody, but now call it allocation of parenting time. Also, child visitation is now called parenting time. Together, they make up the way parents provide time and care to their children after a divorce. A knowledgeable Chicago child custody lawyer will answer your questions and guide you through the process and protect your rights. In many situations both parents are able to make important decisions for their children. This is commonly known as shared or joint custody, although the courts now refer to it as the allocation of parental responsibilities. There are many various responsibilities that parents have and a parenting plan must be put into place as to how these will be carried out. The main decisions regarding children are those that concern education, health, activities, and religion. Your Chicago child custody lawyer will explain that parents must determine the role each will play in making important decisions in each category. The court will ultimately make a determination when parents are unable to come to a reasonable solution on their own. You will achieve the best outcome with help from a reputable Chicago child custody lawyer. Parents are required to come to an agreement as to how to parent their children after the divorce. Consideration should be given to the role each parent has played in the child’s life up until this point. For example, if one parent usually made the medical decisions for the child such as choosing the doctor, that parent should have allocation of those decisions going forward. Parents are often able to provide amicable shared parenting, where both parents have the equal ability to make these important decisions for their children. A Chicago child custody lawyer is available to assist you throughout the process to ensure that your rights are protected. Child custody is usually resolved amicably. However, from time to time there are circumstances that make it more difficult to decide important child custody problems. This can lead to a complex divorce. As such, it is usually best to try to avoid facing problems in the first place. This can usually be achieved with help from a Chicago child custody lawyer. A dedicated Chicago child custody lawyer knows how to handle and control disputes when they arise. The most difficult hot-button issues can be discussed so that special care is taken to provide for these before they become disagreements. Custody concerns should be handled by the parents and their Chicago child custody lawyers away from the eyes of the children that are involved. Involving children will only bring about more stress and trauma for the child. Young children most often reside with their mother after a divorce. As children become older they may have a desire to live with their other parent. Your Chicago child custody lawyer will explain that the wishes of small children are not usually part of the decision-making process, however, once children reach their teen years they are usually capable of input. If a child or a parent wants to make a change to primary physical custody, the modification must go through the legal process in court. A post decree modification hearing is required to have a judge review the situation and make a determination. Both parents, and sometimes the child, may be allowed to present their reasons why a child should or should not change residences. The ultimate decision is up to the judge. Modifications can be complicated and you may require the legal assistance from a qualified Chicago child custody lawyer. All too often, parents resort to self-help when it comes to custody and visitation situations. A parent cannot request custody simply because the other parent is behind on child support payments. Changes must be substantiated and proof of the need for a change must be presented to a judge during a court hearing. A Chicago child custody lawyer can help you with the hearing. A hearing is not automatically granted to everyone requesting one. There must be an actual need or requirement for a change in order to achieve a hearing. Before you proceed with a request you will want to speak with a Chicago child custody lawyer to determine whether your case meets the criteria for a hearing. Whether you are requesting a change in custody or want to defend against a requested change it is important to get support from a top Chicago child custody lawyer. Having the right Chicago child custody lawyer on your side will certainly help you protect your rights and resolve your situation in the best possible manner. The dedicated Chicago child custody lawyers at Johnson & Johnson, Ltd. have years of experience handling complex and difficult child custody and family law cases in the Chicago area. Contact our legal team at Johnson & Johnson, Ltd. to speak with a Chicago child custody lawyer today.